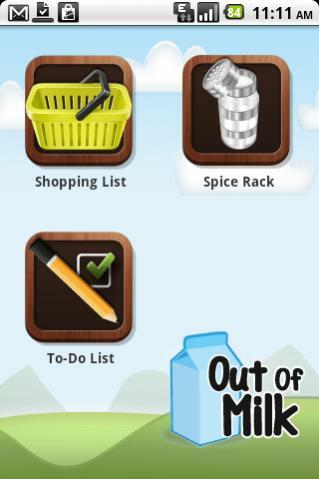 Out of Milk is an intuitive and easy to use Shopping List, Spice Rack, and To-Do List application for your mobile Android device. Developed by XDA forum member marvinp, Out of Milk is the dev’s first Android app and hence is looking for any feedback. Version 1.3 has been released to the Market with Cupcake and upwards supported. Take your Shopping Lists with you everywhere in an intuitive and easy to use package. Scan products directly into your Shopping Lists using the integration with the Barcode Scanner. An auto-complete database makes adding grocery items a breeze. The digital Spice Rack means you always know what spices are in your spice cabinet. The To-Do List lets you add and keep track of any other items on your daily list. Multiple Shopping Lists and To-Do lists. Share your Shopping Lists and To-Do lists by email or text message. Reorder you list items on the fly. For more information, head on over to the application thread. Out of Milk is available to download for free in the Market.